There is no timeline when it comes to grieving. One can tell upon meeting Realtor® Angelynn Edwards that she is passionate about using her own experiences with tragedy to help others. In 2010, her late husband, Bryan Tinsley, took his own life. The stigma surrounding anxiety and depression caused him to mask his pain, and his passing shocked everyone that knew him. Working through her grief intuitively and imperfectly, Edwards made a commitment to involve herself in mental health awareness and suicide prevention. The founder of the Key Team with Synergy Realty Network recognized her people skills and salesmanship abilities as a child. At her family’s independent pharmacy in Florence, Alabama, which her parents ran for over 40 years, she realized the importance of making others feel seen and heard. Oftentimes, picking up a prescription was a patient’s primary outing for the day. As an adult, Edwards pursued a corporate pharmaceutical sales path, which, like real estate, aligned with her appetite to be challenged. Funny, sociable, and easygoing, she enjoys her job, which allows her the ability to turn strangers into friends. 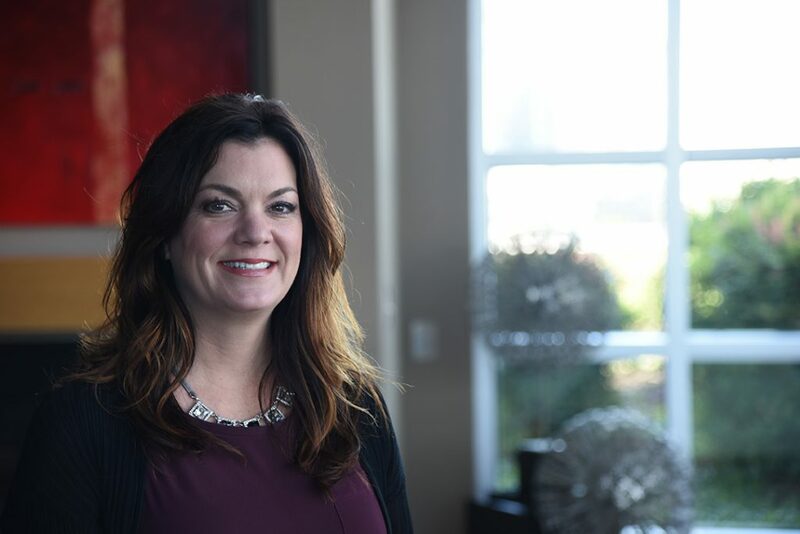 Ultimately, in her career and philanthropic work, she wants to connect and help others feel less alone. When did you know you wanted to transition into real estate and why? Corporate America got old after a while. I felt stuck in a rut. One day my sister-in-law, Kara, and I were talking about changing careers. We both loved photography and decided to start our own newborn photography company, Edwards Photography Studios, which I helped run for several years. Starting your own business makes you wear many hats and one that I loved was brand awareness and building websites. Real estate came onto my radar through my friend Michele whose website I designed. She felt that I had the personality for the industry and encouraged me to get my real estate license. Together, we started the Key Team. What has it been like working in real estate with so many people moving to Nashville in the last five years? We are starting to see the industry slow down a bit but, when I first got into real estate it was crazy. I felt like I had to be on-call 24/7 because the industry is so competitive. Oftentimes there weren’t enough inventories, which meant the sellers wanted top dollar and the buyers got into multi-offer situations. Now that there are so many apartment buildings the market has leveled off a bit. What is meaningful about selling someone his or her new home? Being a part of my clients’ next journey in life is so rewarding. I like to make sure they are comfortable with the whole process. My favorite clients are first-time homebuyers because they are happy, excited, and full of dreams. I try to look at all aspects of their life when it comes to investing in a home. It’s important to me to understand their immediate and long-term goals. What do you think makes someone really good at real estate? How did you learn to be okay with rejection? I know that ultimately, I am not in control. Things are what they are. If someone says “no” that’s okay. If they say “yes” it was meant to be. Surviving the loss of my husband made me realize that I am resilient. If I could handle that experience, I can handle anything. How did losing someone you love to suicide change your perspective on life? I truly learned to honor other people’s sufferings. You never know what someone is going through because as a society, we are taught not to air our dirty laundry. I disagree with the “keep it to yourself” mentality. It’s been a great honor that so many people have reached out to me about their personal problems. Everyone has been or will go through something. It should never define them, but rather contribute to their character. I used to be a crazy planner until my entire world flipped upside down. When your life changes so dramatically, you never get over or forget but rather, adjust to your “new normal”. I learned to not sweat the small stuff or worry as much. I’m only in control of how I respond to something. You never know what will happen, which is why I try to enjoy each day, be more present and appreciative of life. What is it like to lose someone to suicide? Honestly, shocking and horrible. You never get closure, so you spend a lot of energy healing and processing the whole thing. My husband died by suicide in 2010, the same week as the Nashville flood. I was on a business trip in New Jersey when my brother called to give me the news. I felt like I was in a terrible dream and couldn’t make sound decisions. The last time I saw my husband, we were laughing and joking around. Everything was fine. I knew that he struggled with anxiety but didn’t realize he suffered as much as he did. Looking back, I wondered why didn’t I notice this or that? You never think something like this is going to happen to you or your family. Do you still feel there is a stigma around mental health? Absolutely. I think a lot of people feel embarrassed about their condition or think I don’t know who to talk to. Maybe everyone would just be better off if I weren’t here. The goal of my suicide prevention work is to lesson the shame around mental illness. It is a health issue that needs medical attention just like diabetes or high blood pressure. Our bodies are made of chemicals. If they need to be adjusted with medicine, that is more than fine. My ultimate goal would be for mental health checkups to be as common as having your teeth cleaned. The mind is the most complicated organ. We should treat it as such. How did you take care of you afterwards? I did everything that I could do, creatively and physically, to stay healthy. I was also taught to embrace all of my emotions. If I needed to be alone and close the shades for a day, I would. I became very in tune with my emotional needs. Finally, five or six years into my healing process I attended a grief retreat where a therapist told me, “You’re never going to get closure. Spend your energy making peace with not having all of the answers.” Accepting that he will always be a part of who I am is how I finally moved forward. There are no guidelines when it comes to grieving. Allow whatever you’re feeling, even if it’s all over the place. If you start crying in the pickle aisle at the grocery store, just do it. Just accept the roller coaster of emotions. I was so lucky to have a wonderful support system of friends and family. You never realize how loved you are until you go through something awful. I remember going to support groups and meeting people who had no one. Realizing how blessed I was made me want to help others. And today you are remarried to a wonderful man named Ryan Keane who is a developer. Did you feel more alive after experiencing death? I think so. At age 27, I lost my childhood best friend to a heart issue. He died in his sleep and, in a sad way, that prepared me a bit. Knowing we are not guaranteed tomorrow reminds me to enjoy today. I also became a lot more mindful of my energy. Life is too short to be angry, negative, or resentful. Even years after your husband’s death you are still active in suicide prevention. What is meaningful about the work? I hope to use my own healing process, now that I’m less of a hot mess (laughs,) to help others. I can honestly say, “I understand what you’re going through” and provide a safe space for people to share and open up without judgement. Witnessing someone go from a dark and broken place to somewhere better is so rewarding. Why do you think a community is so powerful in terms of healing? When I lost Bryan I only knew one other person close to my age whose spouse had passed away. I knew no one who had lost their husband or wife to suicide. My friend Elizabeth Sledge, mentioned her friends Josh and Mary Beth Easler had been wanting to put together a community walk and eventually a local chapter of the American Federation for Suicide Prevention. Eight years later, we are still going strong. I cannot explain the comfort that comes from being able to ask any question without shame.